Portland is the first big city Jared Freadrich has called home. 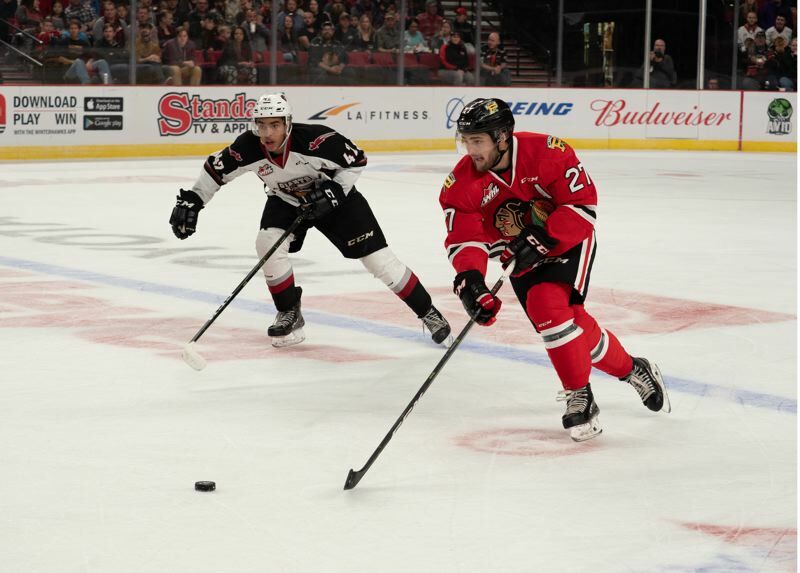 The 20-year-old Winterhawks defenseman has settled in just fine. Acquired in May in anticipation of Henri Jokiharju's ascension to the NHL, Freadrich has embraced the opportunity to quarterback one of the most productive power-play units in the Western Hockey League. The 5-10, 185-pound Freadrich isn't as flashy as Jokiharju (who has 11 assists in 34 games as a Chicago Blackhawks rookie) or Caleb Jones, two recent Winterhawks offensive-minded defenseman. But his skills and experience in the WHL make him a good fit for a Winterhawks team with youth on the blue line. His 15 assists on power-play goals rank him among the top defensemen in that category. And while Freadrich will give credit for that to Portland's talented front-line forwards, particularly Cody Glass and Joachim Blichfeld, his contribution should not be overlooked. "We've been really happy with the way he's quarterbacked the power play," says Kyle Gustafson, the Hawks' associate head coach. "He sees the ice so well. He's able to open up the flanks for both 'Blich' and Cody, and when there's a time to get a shot through he's able to do that, too." Acquired to fill a need for a puck-moving defenseman with the departures after last season of Jokiharju and Dennis Cholowski, Freadrich has been better than advertised according to Winterhawks VP/GM/coach Mike Johnston. Among Freadrich's significant contributions this season, Johnston lists his maturity and leadership on and off the ice and his ability to log big minutes five-on-five in addition to on the power play and penalty kill. "He's been a lot better than we thought he was going to be," Johnston says. Portland is Freadrich's fourth WHL team in as many seasons. A year ago, he had 12 goals — nine on the power play — and 20 assists for Victoria. Entering Saturday's 5 p.m. game against Everett at Memorial Coliseum, Freadrich has six goals and 24 assists. Two points shy of his career high, he clearly enjoys setting up opportunities for prolific scorers Glass and Blichfeld. "I don't have to do too much with those two guys on the flanks there," Freadrich says. "They do a really good job of getting me the puck when I'm in a good spot, and I think I complement their game, too, and can spread the puck around. Sometimes I catch myself just watching those two pass the puck to each other, right? You get mesmerized out there, but it's a great opportunity to play with those guys for sure." 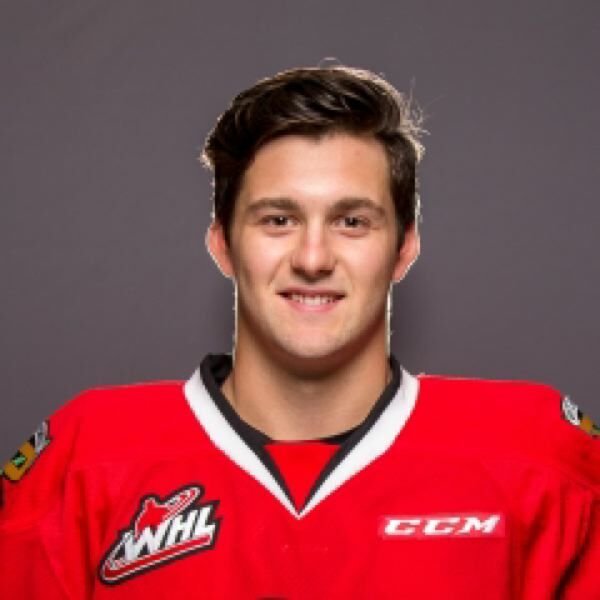 Having talented teammates only partially explains how Freadrich, whose points per game is almost double his career average, is impacting the Winterhawks. As the player nearest the blue line on the power play, Freadrich must balance the instinct to create scoring chances with the responsibility to avoid turnovers and use his mobility to keep the puck in the attacking zone. It's the attacking mind-set that made coach/GM/VP Mike Johnston and his staff see Freadrich as a solution to their lack of defensemen with power-play experience. "Being a smaller D-man all my life, I've had to learn different ways to make an impact on the game other than just being a shutdown guy," Freadrich says. "Obviously, I stressed defense first and foremost, but (the Winterhawks) like a D-man who jumps up in the rush and can make a good first pass and then get off the blue line and shoot the puck and be active in the defensive zone. "I bring a little bit of that to the team, and I think it's fit really well with their coaching style." The lifestyle was an adjustment. Freadrich is from, Camrose, Alberta, a small farming community south of Edmonton. He played his first two WHL seasons in Regina and Red Deer and spent last season in Victoria. None of those places is a metropolis. "It's been the biggest adjustment for me, I think, coming to a big city like this," Freadrich says. "I'm not really used to all of these skyscrapers. But it's been awesome. It's a cool experience." In addition to his ability to skate and move the puck to goal-scorers, Freadrich has embraced his place as an elder statesman on a team that includes five first- or second-year defensemen. "I remember my first year in this league I had great older guys above me just talking me through things. It's a long season, and there are a lot of ups and downs. You can't dwell on stuff or you're just going to drive yourself crazy," Freadrich says. "I just try to be open to the younger guys, and if they want to ask me anything I'm ready to answer it because I've most likely been through it."